"Intellectuals aspire to be right. Babalawos aspire to be helpful. When someone is suffering - from anxiety, sickness or despair - it's not enough to merely have answers. 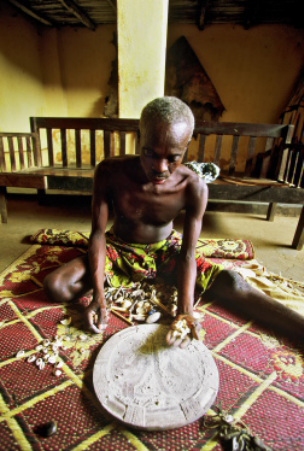 Wise kings and other men and women of consequence have always sought out the babalawo because he not only gives advice, but he shares information in a way that creates improvement.